UPDATE JULY 2nd, 2014: This plant has been officially named "FTS Towering Giant" and we are very happy to be able to offer a few of these for sale staring very soon (early July 2014). 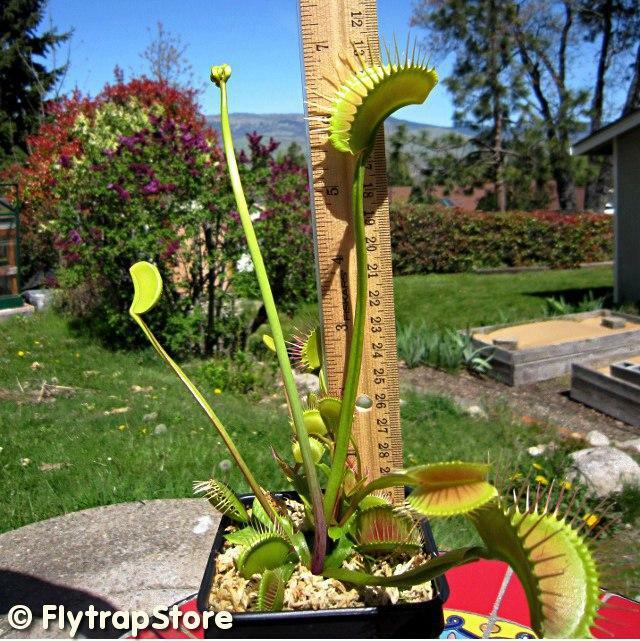 Tentatively named FTS Tall Giant, this is a monster of a flytrap with large traps, long teeth (cilia) and extremely long leaves. Very dangerous looking! 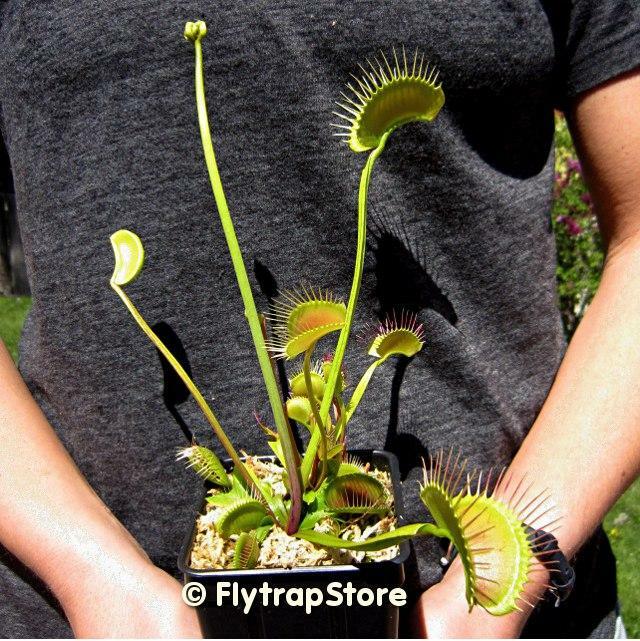 That looks like a beast of a flytrap! Thanks for sharing! Me want it! All tall, large, and formidable mountains! I vote for the name Olympus! Last edited by coline on Fri May 10, 2013 5:48 am, edited 2 times in total. coline wrote: I vote for the name Olympus! "Olympus" was my favorite of the names! Good choice! It seems really fitting! I'll have to get Leah's opinion of these and see which one she likes. I guess I should get it back in tissue culture. Seems like many people would enjoy growing this plant. Yes! Fist pump! Let's get that monstrosity in your store! Id be lined up to buy it, its pretty impressive. Blown away by the plant, but "Tall Giant" is such a boring name for this amazing creature that seems to be jumping out of the pot to capture it's prey. Ambanja wrote: Blown away by the plant, but "Tall Giant" is such a boring name for this amazing creature that seems to be jumping out of the pot to capture it's prey.